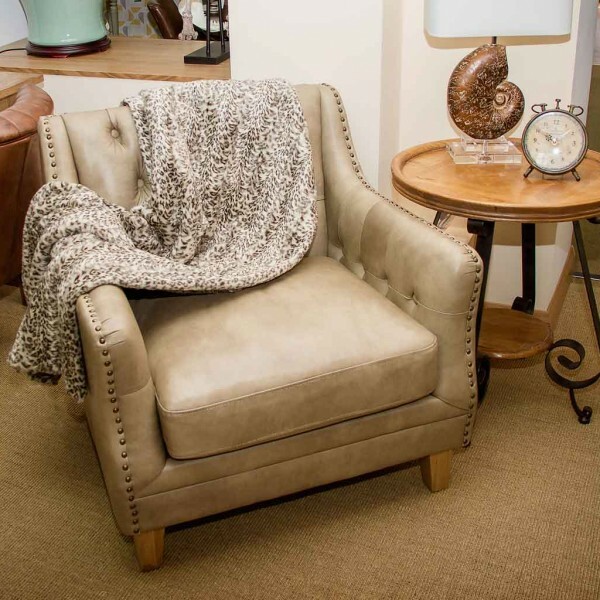 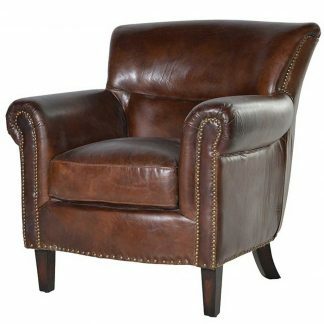 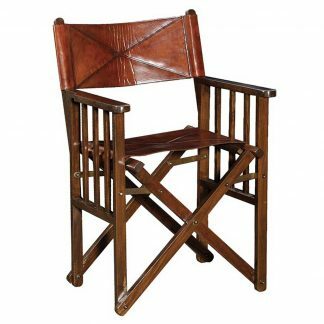 This is a sumptuous leather armchair with a deep soft padded seat cushion for luxurious comfort. 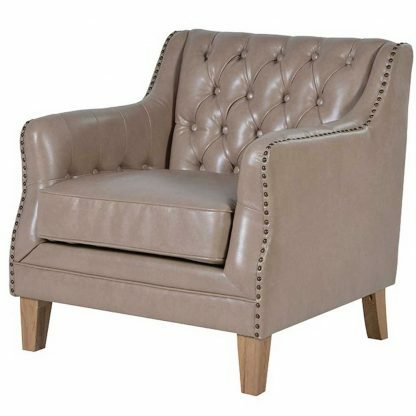 A modern design with a padded button back, brass stud detail and chamfered natural oak legs. 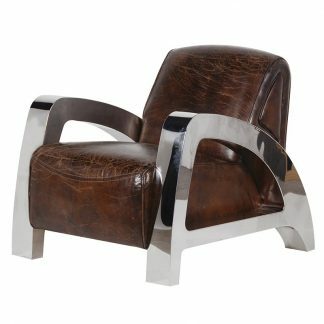 Upholsted in a quality neutral colour leather to blend beautifully with most decor and colour settings.